For the second year running WALLIX has been recognized as a leading player in PAM on the world stage and as the top European challenger among the current American "Market Leaders". 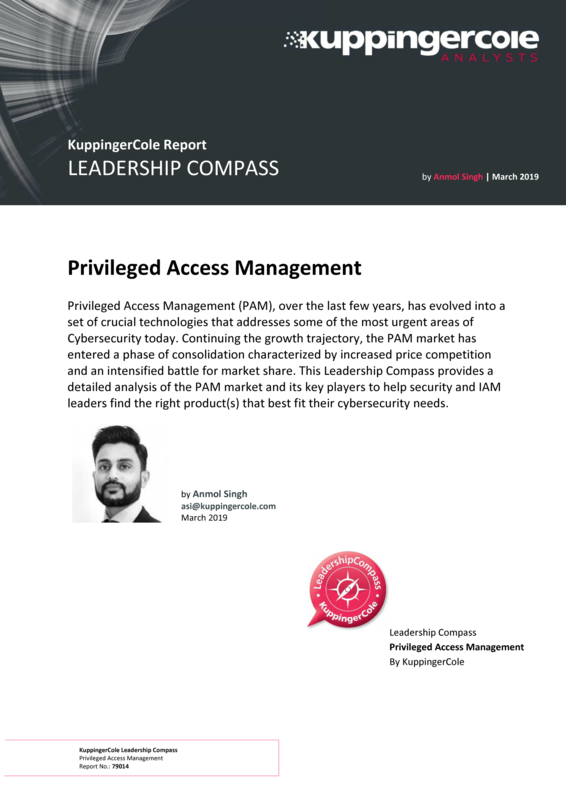 According to the report, "PAM has emerged as one of the most crucial IAM technologies that have a direct relevance and impact on an organization’s cybersecurity program. PAM has evolved into a set of crucial technologies for preventing security breaches and credential thefts. PAM today concerns Security and Risk Management leaders as well as Infrastructure and Operation (I&O) leaders across the industries for several security and operational benefits." According to Anmol Singh, Lead Analyst at KuppingerCole and an expert in Privileged Access Management, "WALLIX has made significant progress by executing on a well-laid innovative product roadmap." Organizations with common SAPM and AAPM needs with strong encryption and PSM requirements should consider the WALLIX Bastion on their shortlist." The report ranks players and account management solutions according to 9 criteria: security, functionality, usability, integration, interoperability, innovation, market positioning, financial strength and the ecosystem. WALLIX is proud to have rated positive (5) and very positive (4) on all of these criteria.